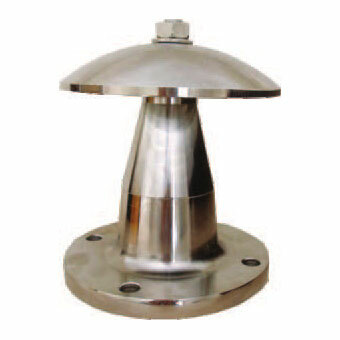 The OF type nozzles have been designed for protection by cooling on large size tank roofs where hydrocarbon products are stored. 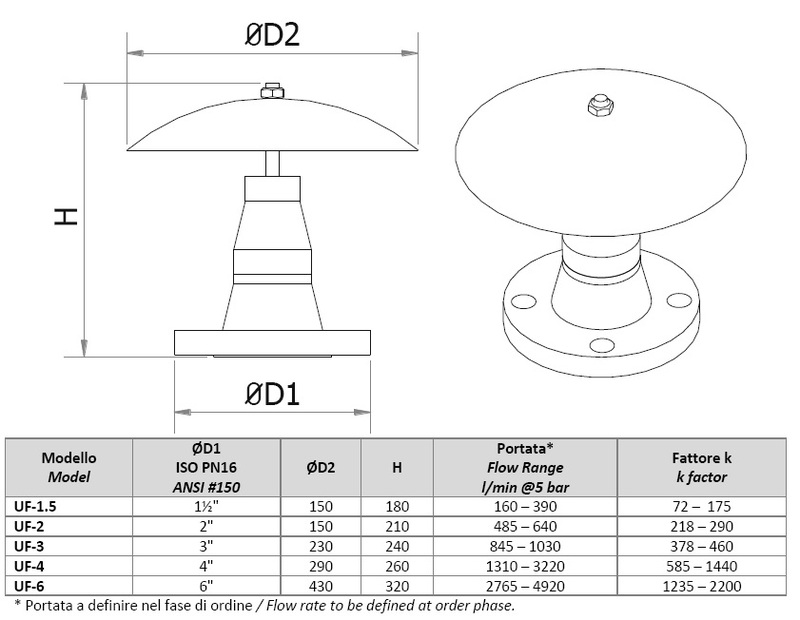 Their very strong construction includes a flange connection (ISO PN 16 or ANSI #150) with a range to cover for all requirements. (Additional sizes quoted on request). Flow rates are between Metric K factor 72 up to 2200 limin * bar^½ according to demand. Standard construction is made out of carbon steel materials; other materials such as stainless steel are available on request.